Choosing where to study abroad was difficult. I love to travel and I wanted to have the opportunity to go on my own adventure. After reading about the study abroad programs and talking to my friends who travelled abroad, I realized that I wanted to have more than the typical college abroad experience. I wanted to go somewhere I would not be able to go without the schools program. That eliminated the European countries. I have always wanted to go to Asia and this was my big chance to go and see more that I ever could if I went on a two week trip on my own. I am majoring in sociology and minoring in social justice so I wanted to go somewhere I could use my skills to observe a new culture. I wanted to be immersed in a program that would challenge me and push me out of my comfort zone. I narrowed it down to India and Vietnam. If I were to go to India, though I am sure it is perfect for some people, I would only be able to see one small part of the large country. There are many parts of the culture that I would not have the opportunity to observe. If I were to go to Vietnam I would be able to see much more of the country and have multiple perspectives of the Vietnamese culture. When it was time to apply for a program, I only sent in one application, I had made up my mind that Vietnam was the place I would spend the fall of my junior year. It was a big chance to take, since getting into abroad programs can be difficult, but once I was accepted I knew my risk had paid off. I was going to Vietnam. I know that these next three months will change the way I see the world and I am looking forward to learning and growing in Vietnam. I am excited to learn a new language and exploring a new place. Though I know that I will miss my family, my friends and playing rugby I know that they will all be waiting for me when I return and until then, it is time to have some fun! What an exciting adventure you are embarking upon and what a great opportunity! Enjoy the experience! Mr. Long was in Vietnam last year for work and found it interesting. I look forward to hearing more and will be checking in here now and again! I think you’ll find you made a good choice in Vietnam! Good luck with all your travels and best wishes for a wonderful adventure! I am, I wanted to mix up the media that I will be posting with writings, pictures and videos! Cool, I will make sure to open my eyes and check it out! We love you & miss you already. Your mom told us where and how to find your blog. We are novices at this stuff and hope we don’t louse it up somehow. I know you say ‘how can anyone louse this up?’ You don’t know how clumsy we can be, especially without knowhow. In less than a week, my study abroad experience will begin. Here is a riddle for you: How do you get from New York City to China without going East? Answer: Fly North! My plane will take off from NYC , fly over the North Pole, and land in Beijing, China. That’s a 13 hour direct flight. I’ve been told that when I arrive in Beijing, the weather will be summer-like. By December, however, the weather will be freezing and snowy. Therefore, I need to pack enough clothes in my suitcase to cover summer, fall, and winter weather. Here’s the catch: my suitcase cannot exceed 50 lbs. Challenging? Just a bit. My efforts to pack have been severely suppressed by my desire to cram a summer’s worth of experiences into the two weeks before I leave the country. I came home from Middlebury Summer Chinese School a week ago (just two weeks before my flight). My final exams were over and all I wanted to do was sleep, speak English, and see all my friends before they went back to college. In other words: I was not ready to even THINK about packing for Beijing. With only 5 days left before my flight, I’m now scrambling to make sure I have everything in order. “Procrastination” is my middle new name. Despite my procrastination, there are a few preparations that I managed to complete. Over the past week, I have come across some good travel advice from student vlogs I found on Youtube. Some videos I found gave tours of the University I will be studying at; others introduced local shopping centers and local attractions. From watching these videos, I feel as though I have become a bit more familiar with the University’s surroundings. Before I left for summer school, I also managed to read some travel essays: Lost on Planet China, by J. Maarten Troost narrates a tour through China from a Westerner’s perspective. No Touch Monkey!, by Ayun Halliday is a comical account of a young actress who learns how to be a world backpacker through trial and error. These books introduced me to new perspectives and situations that I previously never considered. Another preparation I made over the summer was the development of a small network of contacts who will be in Beijing this Fall: a couple of summer school classmates who will be studying at the University next door, a pen pal from Peking University who will help me get to know the campus and a friend who will be visiting Beijing for a week or two. Even though I know I will make friends in my study abroad program, I feel very comforted knowing that I already have friends in Beijing. These few preparations will hopefully ease my transition to student life in China. Am I excited to go abroad? Totally! Am I nervous? Yes! But I’m confident that it will be an incredible experience. I mean, how many times will I have the opportunity like this? It will be awesome! I’m so excited for you!!! It’s great that you did that middleburry program too! I wish I had done that. My Japanese is russsssssty, not rusty, russssssssty. lol! um, of course it will be awesome~ it’s also way cool you made Beijing contacts already. You’re going to have so much fun (when you’re not sitting in class 20 hours a week). Though I’m not yet in Taipei, I’ve already experienced the first challenge of my semester aboard: Packing! In my 6 years of leaving home to go to school, I must say, I seem to bring less and less each year—but nothing comes close to what I’ve packed for this semester! So, what else have packed?—metaphorically, of course! I’ve done my best to arrive in Taipei prepared for the language component. I understand that a major part of any abroad experience is to explore a culture and something different from one’s own “norm.” But my first priority for this trip to solidify my Chinese language skills—so it would be great if I could get to Taiwan and not have to spend time doing an ineffective, stressful review of last year’s material. In a super busy summer with an internship in DC and a swim coaching job it wasn’t always easy to find time and motivation to brush up—but I mainly did my studying during my commute in and out of DC on the Metro. This mainly included reading and listening to recordings from the textbook I used last year; and also an app called Mind Snacks, for Mandarin, which I found to help with keeping up vocabulary. Reading a couple of guide books, and of course “googleing” Taiwan whenever I got the chance help to explain general cultural standards and politics, as well the best beaches to travel to! With the research I’ve done, I have surprised myself in that I have very few specific expectations about my time abroad (about the people, the place, etc.) This is not to say expectations are low, just generally absent. I expect to become better at Chinese, make some friends, experience a place unlike any I’ve ever been… but these are relatively general expectations. I am extremely pleased with my lack of expectations; with no expectations during an opportunity as fortunate as this, in a place I am so excited about I’m sure to be amazed every day—what’s better than that?! On August 28, I won’t be joining the rest of my HWS classmates in attending the second day of classes on campus. Instead, I’ll be spending my day on a plane, flying from Boston (to Chicago) to Hong Kong. Instead of taking classes at HWS, I’ll be taking classes at Lingnan University. Obviously, studying abroad for a semester is going to be an exciting experience, unlike anything that I’ve ever done. Though the majority of students at HWS go abroad, I feel that I am part of a small minority who hasn’t traveled outside of the U.S. on family vacations or other things. Most people don’t even believe me when I say that! So, this is kind of a big deal for me, as I have never traveled overseas. In fact, I’ve only ever traveled to Canada, and never by plane. The last time I went, in 2006, I didn’t even need a passport—I used my high school id to get over the border. I’ve only been on a plane a handful of times, too. Given all of that, one can only imagine how crazy it must seem to my family and close friends that I chose to go to Hong Kong as my first abroad experience. Let me give you a little background information on myself. I am a junior at HWS from Wilbraham, MA and I am double majoring in Writing and Rhetoric and International Relations with a minor in Asian Studies. I have always dreamed of traveling, but as I mentioned above, I’ve never really been anywhere (excluding the Hockey Hall of Fame in Canada, of course). So, the concept of studying abroad anywhere has always excited me. In fact when it came time choose a program, I changed my mind everyday. Even though I’ve been studying Mandarin since my first year at the Colleges, I was still hesitant to eliminate any Europe programs right away. Then, when I finally decided to utilize my study of Mandarin (which makes sense), I struggled constantly with which program to put as my first choice. I even considered putting no order and letting my fate be decided by the CGE staff. I finally talked with my academic advisors and decided on Hong Kong—as a double major, I’m constantly worried about finishing all of my requirements so my advisors thought it would be the best fit for me, especially since I’m not taking any classes for my Writing and Rhetoric major. Though Hong Kong is not a language immersion program, I have already enrolled in a Mandarin language class. My three other classes will be taught in English. I can’t remember their exact names but I know there is one about the Chinese Economy, Hong Kong Politics and one about women in Chinese art throughout history. And, I’ve loaded up my phone with some good apps like Dianhua and Writer to help me keep reviewing my Mandarin. I also took out all of my Chinese textbooks so that I can start reviewing (maybe some light reading for the plane?). I’m leaving in about two weeks, but I still have a lot left to do. I finally got my visa in the mail, so that’s one less thing to worry about. I’m mostly worried about packing. I know that after four years of boarding school and two years of college, I should be an expert, but I’ve never had to fit everything into only two suitcases (one big and one small!). I’m also worried about bringing clothes that are culturally appropriate but that allow me to stay cool in Hong Kong’s hot weather. Though I have a lot of anxieties now, I know that once I arrive in Hong Kong I will forget all of them. Thanks for that great intro post. How exciting for you! I was similar when I studied abroad, it was a big deal and the first stamp in my passport. And how exciting that your first adventure is a rather large one! I’ll be interested to see how much you’ll be able to use your Mandarin in Hong Kong, but I also hope you plan on traveling to the mainland where you can immerse yourself a bit more! For the moment, relax and enjoy the apprehension of a very big trip, and untold discoveries ahead! 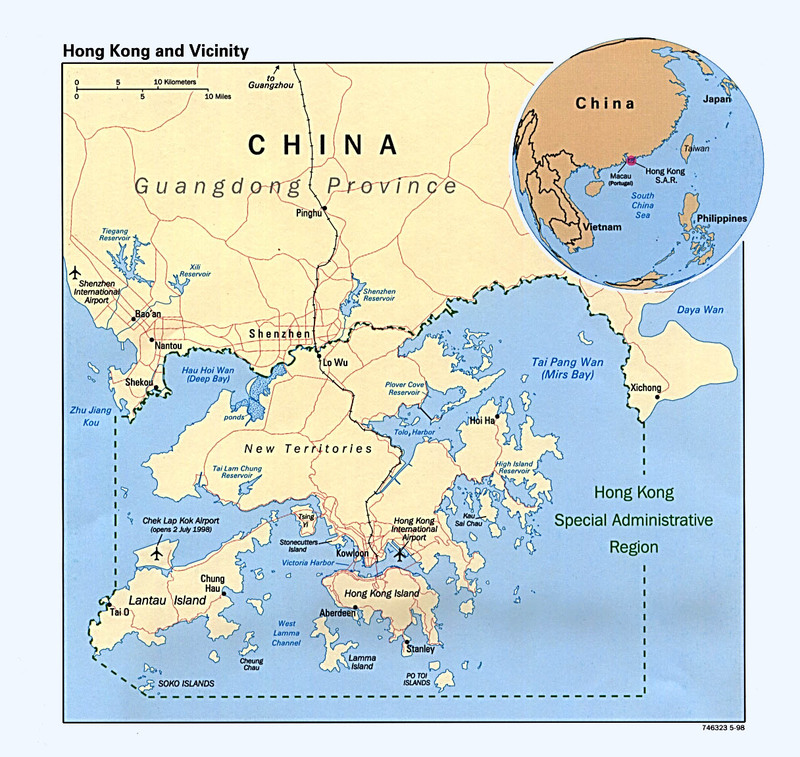 I think you will not regret your choice to go to Hong Kong. Welcome to Asiapod! Good luck Kristyna- I hope you can use your Mandarin. When I visited HK for a few days before my semester in Beijing, I got lectured on my first night for saying “谢谢” in a restaurant. It’s a really interesting languages system going on over there, and it really depends on what time someone grew up in to what language they might speak. The older generations might not know English, the younger ones seem to all be fluent. As for Mandarin, it seems to depend. Have fun in HK, and on Asiapod!! Hey everyone! A special welcome to the new Asiapod class~hopefully you are all getting the hang of our itouches and enjoying them! As promised, I’m just going to introduce some apps that I found useful. Some of them are specific to China, but there is no reason for you not to download it and try it out. Usually there are equivalents in multiple languages so if you try it and like it, you can find one that might actually apply to you. This first app I highly recommend you download immediately. Like right now. 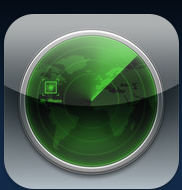 It is the Find iPhone app. To use it, you will have to create an account at me.com and set everything up. The directions in the app store will make this process really clear. Now, although this might seem like a hassle it is completely worth it. Because this app will allow you to locate your iTouch and control it if you lose it. You will be able to lock the screen remotely and display messages on the screen, or even make it beep so you can locate it even if you lose it in your own room. The one downside is that the app will only work if your iTouch is connected to recognized wifi, but that is still a useful thing to have. 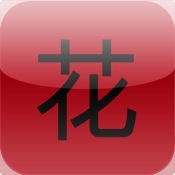 Dianhua is the app that I keep talking about, and that I used daily in my classes. It is a Chinese dictionary app that allows for multiple inputs (English, PinYin, handwriting) and displays everything you could want in an organized way. If you are going to a different country, I recommend trying out a number of the free dictionaries available until you find one that you like- there are plenty available. Look for ones that have translations that you recognize as correct, and are able to be used offline. This list of apps can be used for studying Chinese. Explore them, look at them, check to see if the developer has one available in your language. Survival phrases podcast- this, and other podcasts are completely free to download. There are so many available that can teach survival phrases, grammar, advanced vocabulary, and more. Look around the iTunes store to try some out. Blog about your discoveries! Lastly, just have fun with it. If an app looks interesting and is free, download it. So I had written this witty post about why I’m a terrible traveler according to most guide books, and I had just tapped out the phrase “class consciousness” on my iPad when Apple informed me that what I meant to type was couscous. Then somehow I left that app and ended up losing the whole post. Too badminton, it was pretty funny. So let me try to recap that intro in executive summary form (I learned how to write policy briefs in grad school). Doug has a long history of letting guidebooks down. It tells him to climb some kind of tower for the best view and instead he spends a fascinating morning trying to get his hair cut. The book suggests he visit yet another former home of a former rich person, and he visits a canned pork factory instead. He spends a week in a place the guidebook researchers have proven it takes two weeks to do justice to. He would write his own series of guidebooks except nobody else would find then of much use unless they happened to regularly find themselves in places like Sivas, Turkey, where everyone demanded to know: why did you come to Sivas? And yet he utterly failed to not buy a guide book to Japan and regret it. So there the book sat. The Rough Guide to Japan. 700 pages. I bought this one because I had once used a Rough Guide to get me through Bulgaria and I was tired of all those cheeky Australians who thought they knew better with their Lonely Planets. Come to think of it, that trip was filled with trouble, which goes to show you that even a failed product works towards brand recognition. No bad press, they say. Eventually I opened the book. It started quite a struggle. Because you see, I like to please. I do not like to disappoint even inanimate objects. And once I crossed a Turkish graveyard to get a rubbing for my apartment wall and ended up crushing about 300 snails before I realized it was their turf and generally I feel like I have a huge karma debt that even needs to be paid to guidebook writers who don’t give far enough attention to the joys of visiting meat processing plants or neighborhood barbers. It created a great struggle within me. Should I write ahead so I can get into the great moss temple in Kyoto? I love moss, but moss might be a friendly environ for snails, who naturally would have already heard from their distant relatives istanbul what kind of chap I am. Do I really have to see those tame foxes at that temple place on that mountain? Do they really have coffee shops where I can rent a cat? It’s a mix of pain and pleasure, this guidebook reading. Part of the fundamental problem is that the book states in no uncertain terms, and in pretty large type right at the beginning, that one needs at least two weeks to do Japan. And I only have 8 days. This is the hard thing about travel. You want to know stuff like how do I buy a ticket for the Tokyo metro and how much does that cat bar thing really cost and what if your cat isn’t cooperating (and what are you supposed to do with your cat anyway? Me and my cat Bob always had our best moments tussling but I don’t think the cat bar owners would appreciate it if I tried to incite my cat to rumble by biting it’s forearm). But you don’t need the vast majority of the information there. The chapter on Okinawa? Sadly, dead weight to me. I bought an app version of a Kyoto guidebook, and it’s something of a revelation to me. The first thing that struck me is how modest and unassuming it is. The thing is that you can only see one page at a time. Maybe there is a whole section on snail-infested moss temples, but I don’t have to look at it and doesn’t add any weight. As I played around with one of the translations apps, repeatedly making the soothing female Japanese voice say “it’s not my fault”, something I think might come in handy, I remembered the Hitchhiker’s Guide to the Galaxy. Not the book as much as the book in the book, the actual guide carried by the novel’s hero as he traverses the space time continuum. Douglas Adams described the guide as a small black box with several buttons, and if I remember it right, it also had the voice of a woman. Or at least I read it that way. Anyway, this uberencylopedia had an entry on just about everything, even if the write ups were mostly hearsay or rumor. It struck me how much like the HGTTG is like my iPod. With a planetarium app I can navigate the night sky, with my metro app I can find that cat bar, and it even, like the HGTTG, advises one to bring a towel. I look forward to seeing what kind of trouble this can get me into. 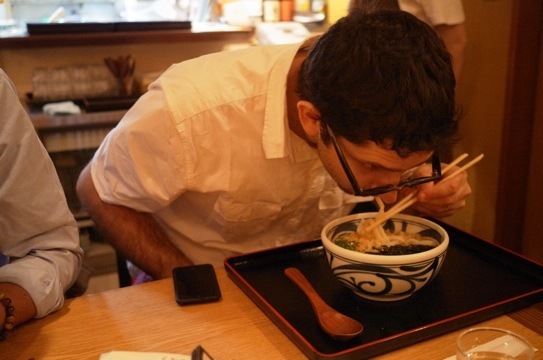 Oh, this is me eating udon. The HGTTG advised me to slurp loudly. I have some conditioning to do in this respect, my slurps winded me and sounded sickly compared to the heartier men around me. More to come.